This book, first published in 1989, is now available on this site in electronic form, free to read, copy or download. 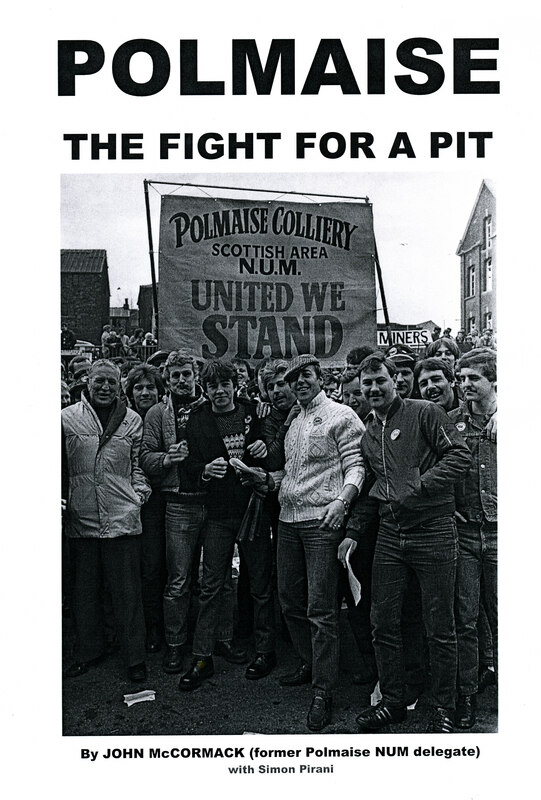 In the book, John McCormack tells the story of Polmaise colliery in Stirlingshire. 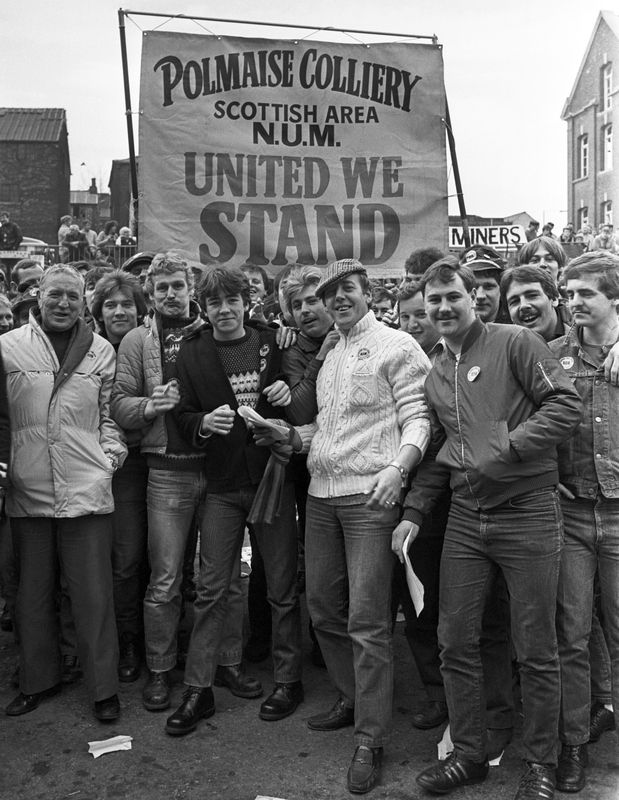 Miners there stood at the forefront of the fight against pit closures and the national miners’ strike of 1984-85. Polmaise was the first pit out on strike, on 21 February 1984 – two weeks before the national strike began – and among the last to return to work. This site is not updated regularly. You’re welcome to leave a comment on this page below. (The normal rules apply there: please stick to the subject, don’t be abusive, etc.) Or you can contact me directly at simonpirani [AT] gmail.com. Simon Pirani, March 2015. ■ Download the book as a PDF (15 MB) here. ■ You can download the book in kindle format from the “libcom” site here. ■ Start reading on line via the contents page here. 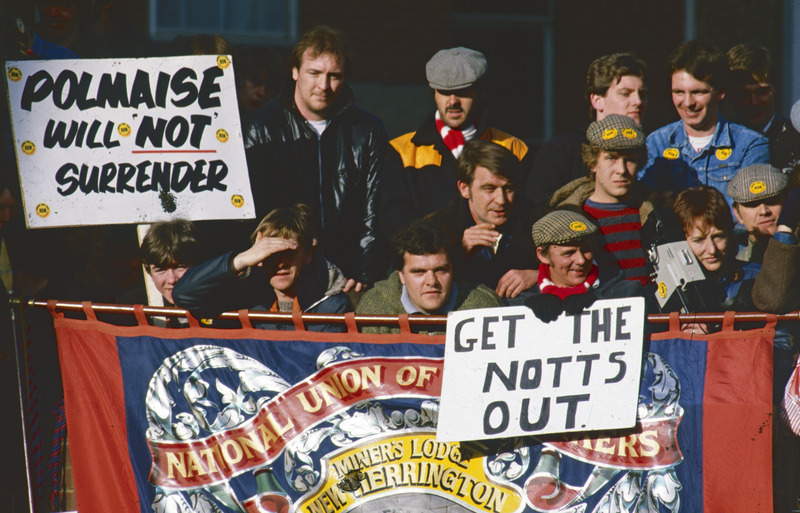 Polmaise miners on a march in London, 19 April 1984. From the Newsline archive.